Shearing is an exciting day every year but this year was particularly exciting since we were shearing our home bred Jacob x Lleyn ewes lambs, our three black Romneys and our twenty-seven white Romneys for the first time! Timing shearing when the sheep are ready to be sheared, the flys haven't become a problem and our shearers are available is a real challenge every year. Our main flock of adult ewes who lambed in April didn't shear very well because they're wool hadn't lifted but the ewe lambs, rams and ewes that didn't lamb this year all sheared very nicely. Matt and Bridie from New Zealand came to shear this year, usually Malcolm comes but he was off teaching a British Wool Board shearing course so he sent his Kiwi team. Matt did a great job taking care over the ewes who weren't shearing so well and Bridie who was very knowledgable about wool really enjoyed sorting our fleeces for us. It was interesting to hear about the wool sheds in New Zealand where each fleece is sorted into multiple grades. Here wool that is sold to the wool board is paid for in weight so all the dags and skirtings are left in the fleece to make up the weight. We had to keep the ewes and lambs in from Wednesday lunchtime until Friday when they were sheared to keep them dry. It was a week of very heavy showers between hot sunshine. We put them out for a few hours on Thursday and get them in very quickly when a new down pour began. I did more physical work than I had in a while and really felt it but it was so much fun to get really stuck in with the sheep work it was definitely worth it! As soon as the Natural Fibre Company are ready to do an organic mill run we will be sending our wool for processing. My current plan is to blend our Lleyn and Jacob cross Lleyn shearling fleeces for one yarn. We did this before and it created a beautiful oatmeal colour. For our second yarn I will be blending the white and black Romney fleeces that I'm hoping will create a beautiful grey. It's always to some extent a guessing game but a very exciting one!! Knit British just reviewed our Plaw Hatch Flock Lleyn Yarn you can see what they had to say here. In other news I am now thirty-three weeks pregnant! 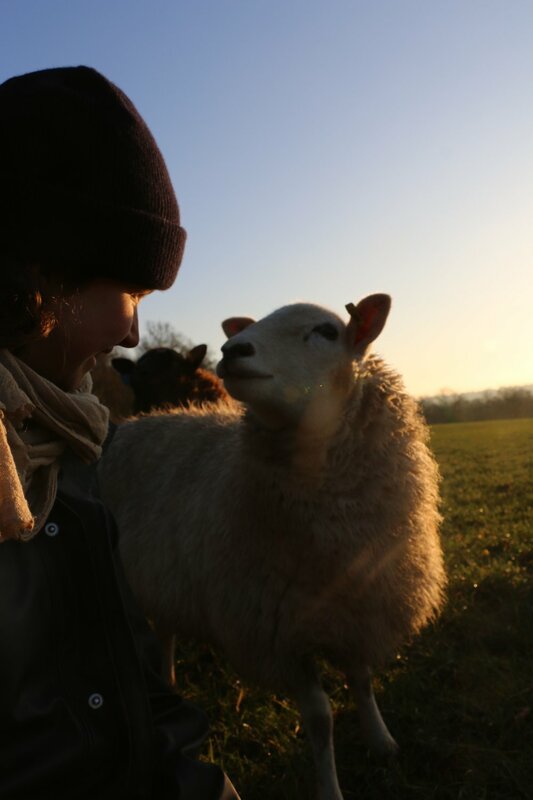 The wonderful Rose did lambing for me and has continued taking the lead role in taking care of our lovely flock. It's been great fun having someone to be super nerdy about clean grazing, weaning times and sheep care with. I am going on maternity leave this Friday and Rose is going to continue to look after the flock for my leave although we will be having regular meetings about the sheep. You can follow Rose on instagram @rosebramwell. Rose just completed a shearing course and got her Blue Seal she'll be shearing some of our lambs later in the summer that we will probably sell for hand spinning keep an eye out for them. The Romney lambs dad has a really stunning fleece can't wait to see how their wool develops! 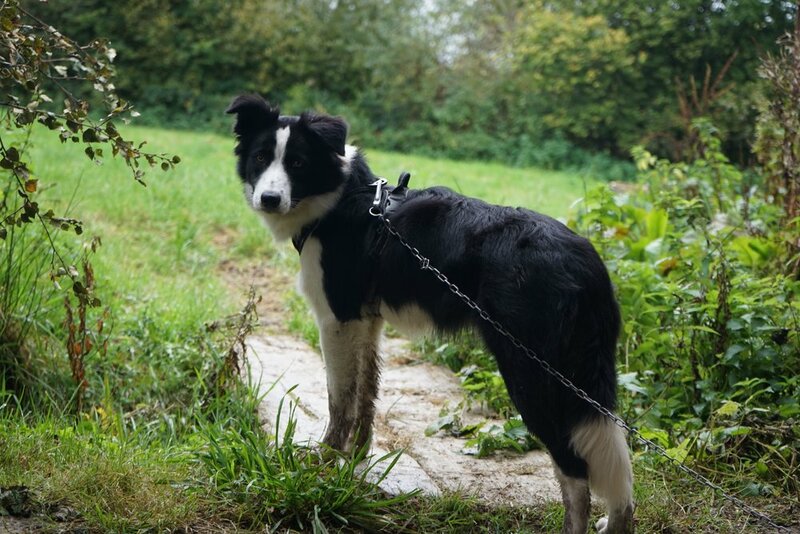 Pip, my now year old Border Collie is currently in Lancashire at sheepdog school with the lovely Dot McCarthy and Cronkshaw Fold Farm. I'm getting regular updates from Dot and although Pip isn't the fastest learner she is slowly getting there and I'm super excited to see her new skills.